This week was a doozy…I’m ready for the weekend (and an extra set of arms to help around here)! A pile of scraps is a good sign of a productive nap time. 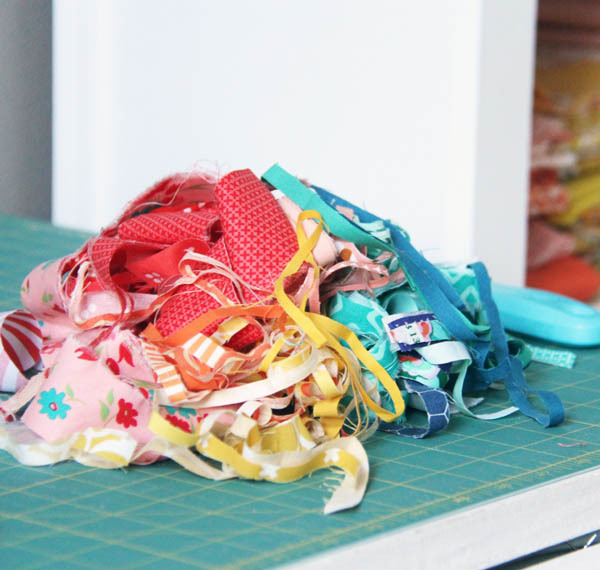 I cut a whole bunch of 2 1/2″ strips for a project…then changed my mind. So next time I need strips I’ll have a whole bunch ready to go I guess! 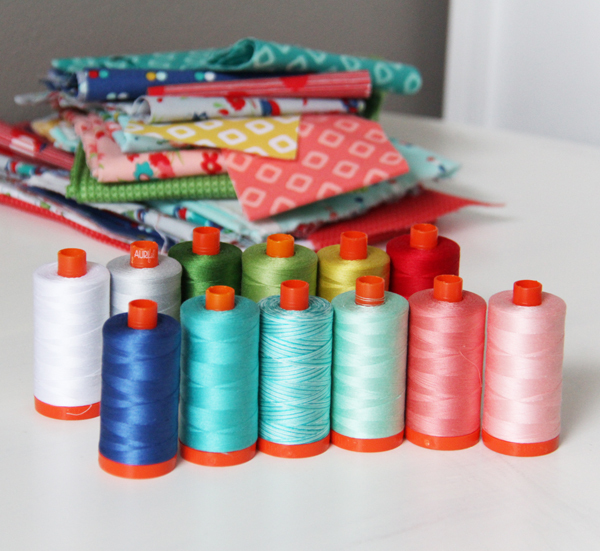 The winner from my last post for the Aurifil thread box is Elaine W., who is going to a juggling festival with her daughter…love that! I emailed you Elaine! Have you seen all the amazing heart quilts being made and donated for the victims and families of the Orlando shootings? Many of them use the 10″ heart block tutorial found here. 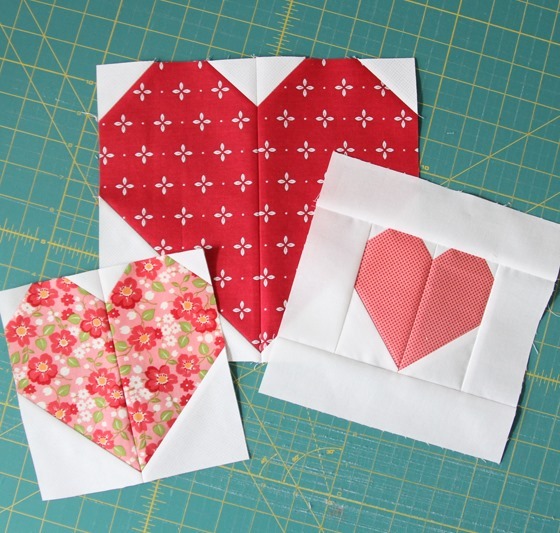 You can see a whole bunch of beautiful heart blocks and tops here on instagram, and you can find out more about how to help on the Orlando Modern Quilt Guild website. They are still accepting blocks, quilts, or donations. I loved reading your comments with your summer plans. I even got some great ideas for things to do with my kids this summer, as my 9 year old is currently laying at my feet telling me he’s BORED (this is one of my favorite posts ever if you have bored kids). 17 Responses to Friday Fri-yay! Great heart pattern. I participated with two groups using your pattern for their Pulse quilts. Thank you. I also used them last week for a table runner for me. Love the sweet pic of your children. Savor your Mama time! My hat is off to you that you can get anything done with a new baby! 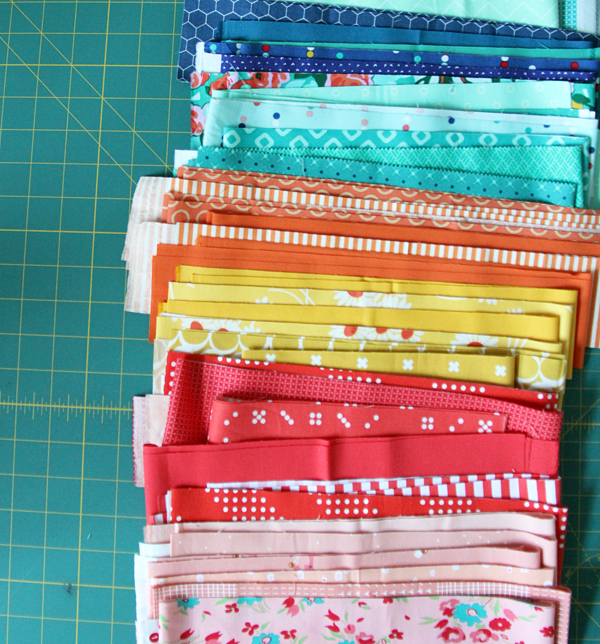 Good idea to make scraps. 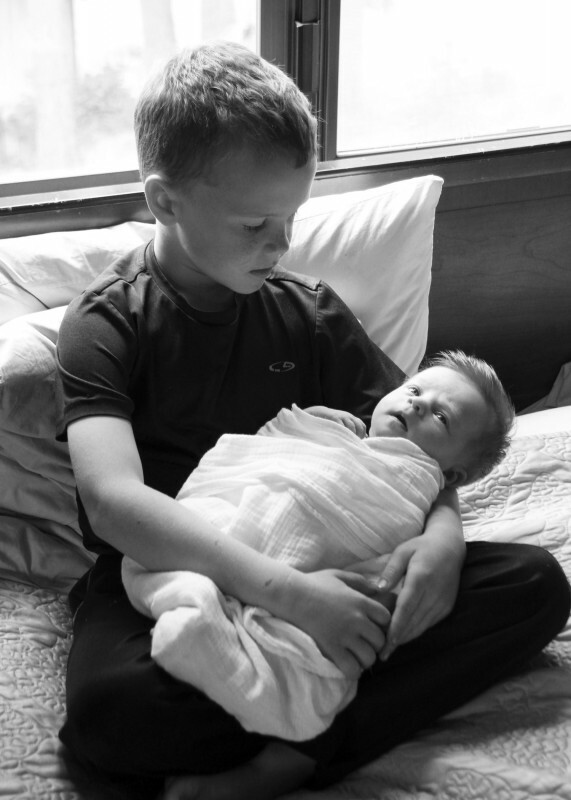 Your oldest son with the baby is adorable. Yes, such good advise about our kids and summer time! Nice quiet summer days are wonderful for sure. I’m planning on buying that book for my daughters who have little ones – and could use this advise!! When my children were bored I suggested they clean their rooms. Funny, they always found something else to do. Sorry, but I’m a stickler for grammar, and your son is not laying at your feet, he is lying at your feet. But, much more importantly, I’m also planning to make several,harts for Orlando using your pattern. Thanks for reminding me! Thanks so much for the heart block tutorial. I made mine to 9″ and added a border all the way around to finish at 12″ and they turned out great! Love the big brother photo! When my kids were little and told me they were bored, I just looked at them and said, “I’m not in charge of entertainment, I’m in charge of chores. Now, do you need something to do?” Magically, they found things to do.